Coding is one of the most exciting skills that you can learn. Increasingly, everything we use is connected to the internet. Smart watches, cells phones, even coffee makers are connected to the internet. Often, it’s those who want to know how these technologies work who try their hand at learning how to code. Computer science is also one of the fastest-growing majors on college campuses. You may be curious about what happens when you type www.ingeniusprep.com in your browser, or how a webpage knows what to do when you click on a button. You may be wondering how it is that we’re able to send an email from New Haven to Shanghai in a matter of seconds. These are all questions that can be answered with the study of programming. People from Mark Zuckerberg to supermodel Karlie Kloss asked these questions, and today one of them has created the world’s largest social network and the other has created a coding school for young women. Learning how to code is as empowering as it is intimidating – popular culture dictates that if you haven’t been taking computers apart since you were 2 months old, you’re never going to be a good engineer. Others may express hesitation to learn how to code because “only those who study computer science are programmers”. Lucky for you, learning how to code is not the same as studying computer science. While knowing computer science concepts, data structures and algorithms is crucial to being a good programmer, there are many very talented software developers who didn’t study computer science in high school or college (and many talented computer scientists who are not very good at coding!). If you’re a novice, there are countless coding for beginners resources available online where you can teach yourself how to code. 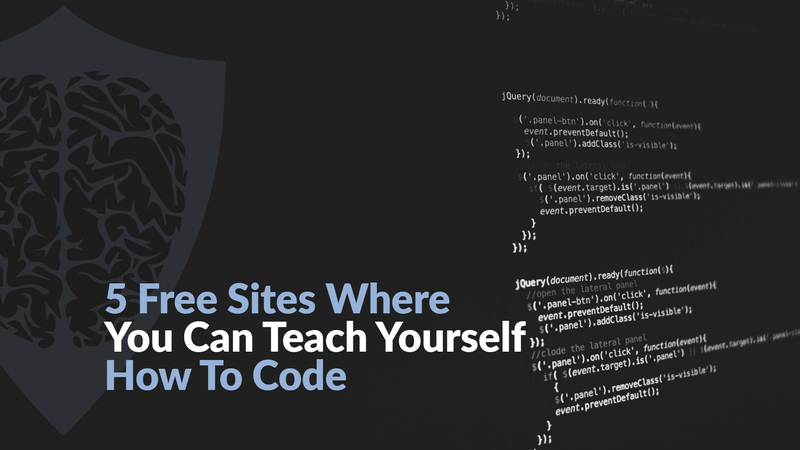 The following 5 resources will help you get on your way to becoming a coding savant! You will be coding within Codecademy’s development environment (so you do not have to worry about working in the terminal), and it will help you determine whether your answers are correct, provide hints along the way, and quizzes your knowledge to make sure you’re learning the material. Learn Python the Hard Way is an excellent book that takes you through Python’s syntax and functionality by typing. That’s right – Zed Shaw guides you through “Pythonic” logic and establishes the foundations of the language where you type what you see on the page. Don’t be fooled – this is not a passive exercise. It’s important that you pay attention to the code you are typing into your text editor. While it might not all make sense from the very start, the point is that you practice typing code consistently and recognize common patterns. Learn to Program is an excellent book for the beginning programmer. Chris Pine teaches the fundamentals of programming using the Ruby language. He focuses on the building blocks of writing simple code by working through logic problems. Coursera and EdX are excellent online resources, most of all because you can take courses from some of the best institutions in the world for a reasonable price. Additionally, Coursera has the option for you to achieve a “verified certificate”, which asserts that you have completed the course in full. EdX provides courses from Harvard and other top universities not on the Coursera platform, including Harvard’s introductory computer science course that Mark Zuckerberg took before dropping out. Engineering Fundamentals Specialization - This is a series of 5 courses taught by Duke University. You can learn at your own pace and gain the foundational skills a software developer needs to solve real-world problems. CS50, Introduction to Computer Science – This is an excellent primer for the fundamentals of computer science and the art of programming for those interested in majoring in computer science – or not. That is the beauty of the course! Udemy is another great resource that leverages experts in their fields, ranging from professors to programmers with 20+ years of experience. Courses are often on sale for $10, and you can choose from beginner to advanced courses in nearly every coding language. Java Tutorial for Complete Beginners - Free Udemy course – Like many beginning courses, this course has no requirements for previous knowledge of coding. This course is free, and includes 16 hours of on-demand video. If you're interested in STEM, looking to major in Computer Science, or simply curious about what makes something like this blog work, consider looking into one of these coding for beginners sites!